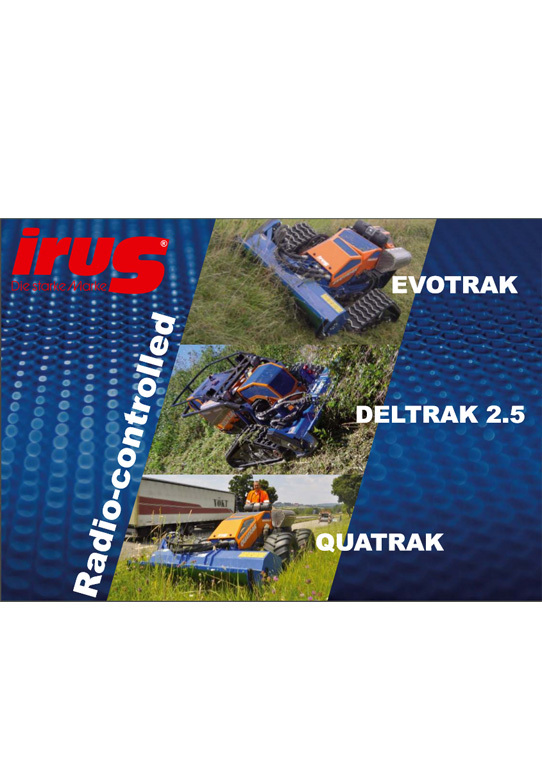 Designed with inaccessible areas in mind, the four wheel driven Irus Quatrak operates through remote control, with a range of up to 300 m. This is the ideal distance to work with, as the machine always needs to be within a good visibility of the operator. 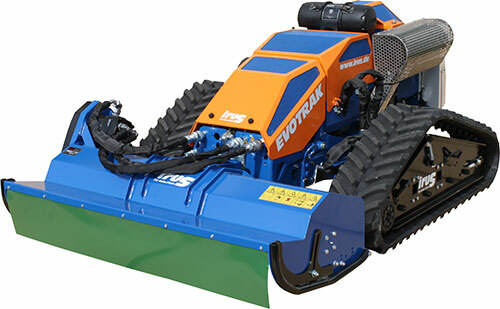 A specialist slope mower, the Irus Quatrak comfortably tackles tough mowing task on flat and difficult to access areas. 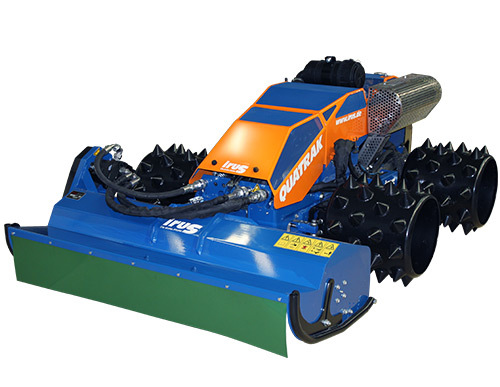 55 Degrees are possible with correct wheel configuration and ground conditions. 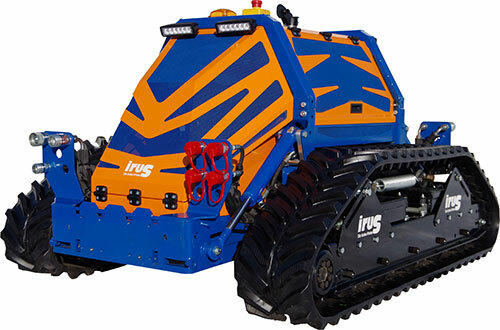 The Irus Quatrak is used primarily for mowing and maintenance of steep slopes, parks and roadside greenery. 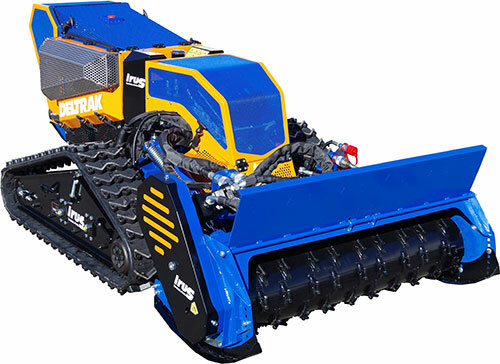 The four-wheel drive ensures optimum soil conservation and slope efficiency.